Our story begins on the pristine sandy beaches of Tortola, British Virgin Islands, where the idea for our (r)evolutionary RADIUS® Original® was dreamed up by two architects with an insatiable love for clever design. Kevin Foley and James O’Halloran believed even the most everyday products could be refined and improved, starting with the humble toothbrush. Kevin and James’ first toothbrush model — with its signature oval-shaped head, mass of fine bristles and chunky handle — isn’t such a big hit with New York’s ad agencies (oh well, not everybody is a visionary). The inventors are undeterred, however, and rally a close-knit group of friends, family and fools to fund the launch of the company themselves. A few months later, the first real mould is made. Production begins! RADUIS HQ relocates to NYC’s bustling Flatiron District, and starts manufacturing its first toothbrush design. The Original is one-of-a-kind — a revolutionary oval head with a bed of 6,500 super-soft bristles and a palm-friendly handle — and an initial run of right-handed versions is snapped up by Turpan Sanders, the country’s leading design store. They fly off the shelves, selling out immediately and garnering a wait list! The team has to taxi all over the city delivering orders door-to-door just to keep up with demand. We get our first major accolade! The RADIUS Original receives an Accent on Design award for the most original design in New York and sales really start to take off. Brookstone places a huge order and a host of other major mail-order retailers follow suit. Launching a toothbrush business in the 80s was no easy feat. Start-up costs were eye-wateringly high for Kevin and James’ models (which were a lot more expensive to produce than lower-quality versions) but the guys still manage to buy a 16,500 square foot historic feed mill in Kutztown and begin restoring it. They turn on the charm and persuade Pennsylvania state to loan them money for equipment, and by the end of the year the RADIUS factory is up and running. We can finally afford to commission a mould for the left-handed version of the RADIUS Original, so everybody is able to enjoy a better clean. RADIUS launches a new toothbrush based off the mould of the Original — the more-pliable SCUBA®, made from flexible tree rubber. That same year we receive a major honour as both our pioneering toothbrushes make it into the design hall of fame — the permanent collection of the Smithsonian Nation Institute Design Museum. Kevin and James decide it’s time to create a children's toothbrush and commission a manufacturer in London to make the mould. The result is a shrunken mini-me version of the Original with 5,000 ultra-gentle bristles for tiny mouths. The RADIUS product family expands and the Kidz® design is born. Our inventors turn their attention to floss. They team up with a silk company in Pennsylvania to resuscitate natural silk floss®, which hasn’t been manufactured since the 1930s. It takes three solid years to produce a scalable product, but it’s definitely worth the wait — RADIUS’ floss is the smoothest, glossiest version on the market…even if we say so ourselves. Children’s toy company Fisher-Price approaches RADIUS to collaborate on a very special project. We help them create a range of toothbrushes for little ones aged 5+ months through 7 years with the goal of making teeth-brushing time a whole lot more fun. They’re a hit! The RADIUS range expands again, this time to encompass travel cases. Our long-lasting designs store everything from soap and razors to snacks and vitamins safely and securely. The RADIUS mission to refine the humble toothbrush goes a bit sci-fi. We delve into intelligent toothbrush design, developing a handle with an built-in two-minute timer and a counter that reminds you to change the replaceable head after 180 days. After more then 20-years sharing the helm, RADIUS co-founder James O’Halloran retires. He builds a boat and embarks on a sailing adventure. Bon Voyage, James! Team RADIUS reimagines the toothbrush yet again with the introduction of the Source™. It utilises its own replacement head technology and recycled materials to significantly reduce material consumption and waste. Disaster strikes! A freak storm wreaks havoc at the factory — ripping the roof off, demolishing a wall and destroying six moulding machines. The business is forced to close for four months and the team camps out in a trailer temporarily while the factory is rebuilt. But we persevere! Saskia Foley, daughter of co-founder Kevin, joins RADIUS as Vice President of Sales & Marketing. 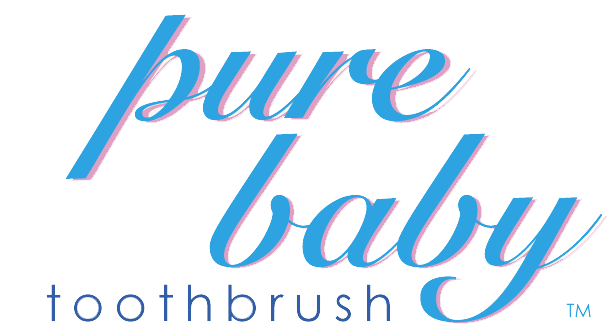 RADIUS completes its toothbrush line with the introduction of Pure Baby® and Totz™, designed for the delicate teeth and gums of babies and toddlers. Now we cover the entire family! Little did we know Totz would be a huge hit with children and their parents, going on to become our best-selling product in the US (and in Korea, too. Just FYI). At one time we experimented with using a plastic case as packaging for every RADIUS toothbrush, but the carbon footprint was too large to justify its usage. Once we discontinued it, however, we discovered how much customers wanted a travel case for their toothbrushes — requests flood in and we launch the Original/SCUBA Travel case to meet demand. When our customers speak we listen, and what they’re asking for in 2011 is a functional toothbrush holder. Our solution? The DOC® — a gripping tour de force which sticks to any surface steadfastly and secures a myriad of objects including a chunky RADIUS toothbrush handle. The general consensus is that it’s a game changer in the bathroom and beyond. Saskia Foley becomes CEO of RADIUS, heading up a female-focused team of close-knit employees. RADIUS once again turns its focus towards reimagining dental floss. Our team comes up with a genius idea — convenient pocket-friendly sachets, which help reduce waste. They also introduce a natural mint tea tree version of their spooled and sachet floss (for its added antiseptic benefits) which goes on to become a best-seller. RADIUS steps up its commitment to green ethics with the introduction of 50,000 kilowatt solar collectors. We’re able to begin harnessing the power of the Pennsylvania sunshine to generate 67% of our electrical power, successfully lessening our burden on the planet. RADIUS streamlines production with a new fully-automated Boucherie bristling machine. It’s used to make the Totz™ and Pure Baby® toothbrushes as well as replacement heads. Saskia Foley is promoted again. This time to president of the company! Under her direction RADIUS is growing like never before — so much so that we need to buy another 130-ton injection moulding machine to keep up with demand. Ever the innovators, we also continue to expand our product range with the new Source™ Super Soft and silk floss® sachets — the first truly biodegradable travel floss. Yet again we manage to reinvent the wheel — this time with the Tour™. It’s the ultimate travel toothbrush with a jack-knife design which allows the user to stash the removable brush head inside the handle, eliminating the need for a separate travel case. We also launch the eye-catching Totz Plus™ which tackles the tricky age of 3 years and up, when wobbly baby teeth are starting to be replaced by sturdy adult ones.